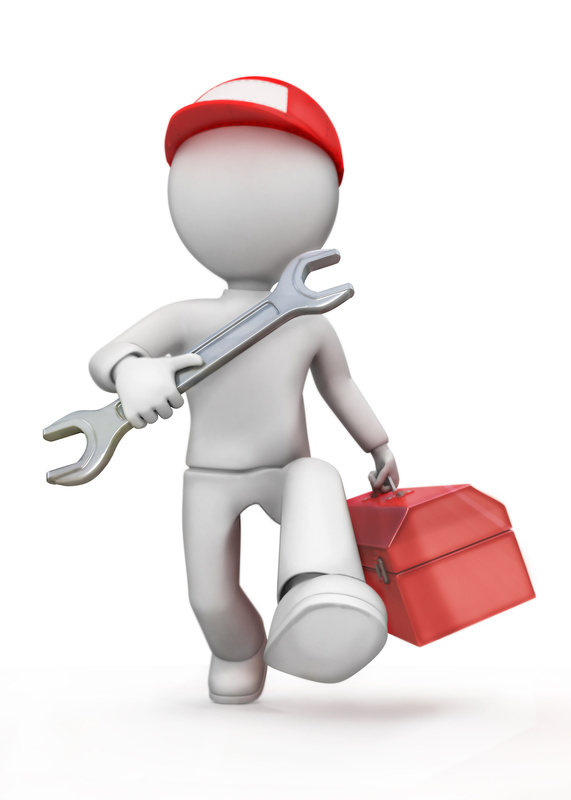 to do what we know how to do best, which is fixing mobile device issues. to default to ensure its effective functionality. save your smartphone and don’t give up on it yet. smartphones and possible solutions will be proffered to you. You cannot update your REdmi note 3 pro the Miui 8 with OTA. You need to download the full rom then flash it. See guide here will put your through. Umi iron generally doesn't supports fast charge feature. To make ur charging reasonably fast, turn off your mobile network and charge. Good day prof. I have an infinix x551 cloned version which runs on android 6.0 marshmallow(fake as well). Unknowingly, before I came to discover that it was actually a cloned copy, I tried to degrade it to 4.4 os. Guy who did it used d real infinix ROM and now d fone is bricked. I downloaded 2 different ROMs from the internet and tried flashing with SP tool but I got error 5054 for d 1st file and error 4032 for d second. I tried flashing with Piranha box software and when I try to load scatter (preloaded) file, I get a prompt saying bad file, do not attempt write. Pls help me out. Thanks. I've had series of unforgettable encounters with some of this clone infinix smartphones that even flashing couldnot fix. My advice, get the exact same infinix X551 and flash it on your brick clone device. The roms you downloaded from the internet seems corrupted. It is your SD card that is gone bad. Try another new SD card on it. I use a samsung s5 screen still flickers on low brightness after updating to the latest version..tried everything it doesn't work..
Hello Adams, screen flickering may be caused by your firmware upgrade but you'll still to trouble shoot it. One of the options below will help you fix it..
Pls I will like to knw how to factory reset manually if its gonna work. You have too many apps running on it, and the ram is so small. Factory reset it. It will be alright after then. But back up your files and doc before you factory reset it. Still want to know how to totally unroot android phone to install new update without using pc. It depends on what the Android is rooted with… what is it rooted with? with kingoroot. I tried to unroot it but still the phone cannot install the new update. Please, my infinix hot 3 keeps restarting itself. Amd it has been doing like dat for about 2 months now. I took it to their office and dey said i have to fix a little crack on the side of the screen for 17,400 before they can fix it for me. So, i took it to an engineer in ikeja to service it. But it is still going off once in a while. The phone is just 8 months old. Could it be a software issue? And will flashing it solve the problem? Hello friend, N17,400 to fix a crack at the side of the screen… then how much is new infinix hot 3? How come about the crack? Doesn't the crack affect the power on or off button? If it doesn't, then factory reset it. Hello yomi, my cousin is using a partner mobile KS1 with 512mb and 1gb inbuilt storage. but it keeps popping up with a notification that he doesn't av enough storage. he is using a 8gb SD card and all his apps are on d SD card. I'm guessing its d Google play services that is eating up d internal memory. what do u advise ? No, its not the Google play services but the inbuild memory is very low. There are some system apps that takes in space, Cache also takes in space. the apps you run on it also takes in space, this alone is enough to pop out insufficient memory. Go to settings>>Apps>>Click on individual apps and clear its cache except Google Play services and Google play store. The thesame for every other apps. once done, reboot your device and check if that pop still display. What errror message are you getting when you tried to install them? your Samsung Galaxy tab has been bricked. Was it rooted before you factory reset it? To fix this, you need to flash Samsung Galaxy tab stock rom on it. Mrs Samuel you didn't only Format the phone you formatted the phone system os that why you need to flash your stock Firmware to fix the phone. do this, go to settings>>apps>>Click on individual apps and clear its cache but don't touch google play store and google play service. Do this for every app you have installed, and reboot your device. Once done, also check for application you don't use, uninstall it and you are good to go. If it doesn't fix it, factory reset your device. Two things are involve, its either the phone battery is bad or the charger. Try to test it with another battery or another charger. How did you arrive at invalid imei on your snokor device? Sir I av tecno y2 rooted phone, but anytime I switch it on or I reboot, two service messages wil come into it even if there is no Sim on it… I used king root to root and av deleted d app what can I do to stop the messages anytime I reboot it? Hello Prof, I'm using lenovo lemon 3 which doesn't come with Google play store and I tried installing it via a thread I found on xda developer. So after installation, I restarted my phone but couldn't boot up again. I did a wipe but didn't solve the prob. Then I downloaded the stock rom and tried flashing using QFIL software but its giving me error message, Sahara failed. Pls help out. Hello Lateef? Can you still boot it into safemode? If you can, unistall that Gplay app from your device then reboot your device normally. I'm Kachi. When i switch on my glo 3g Internet, it automatically turns on the gps. And the gps chops battery anyhow. I use an infinix hot note x551. A lot of ppl have this problem with no solution to it. Hello mr yomi anytime I try to update apps on my iPhone 5 it will tell me to enter the password of the Apple Store that was logged in before my own in which i don't know the password… Please what can I do? iOS is like that… Did you create your own appstore password when you bought the phone from the first owner? Without that, you can't update any app nor the OS. Pls my phone is not getting 3G/H+ signal at all,it only gets E signal,I have tried other networks and I have even change the network mode setting,yet no solution.please help o,the E is extremely slow. The phone is Samsung G360T1. (The phone has been rooted during d course of getting a solution).thanks. Prof. My x551 infinix, had broken touch pad when it fell down and after That I took it to the repairer when he finished loosing the phone he coupled it back saying that he didn't find the parts, and since then the phone has been switching on and off by itself, I took it back to him and he can't rectify it, most at times when you insert it in the pocket it will go off, and start rebooting. I'm tired of it. Hello freind, why not take it to Infinix Carl Care. They'll fix it for you. I have a pin stuck- it broke actually in my external sim point remover for my iPad, how can I remove it please. Your Tab has been bricked, You'll need to flash it. Do you have access to the stock rom? Hello Prof Yomi, My infinix X551 phone did not power on since 5days now.Before it went off, i tried charging it but went off immediately i plug the charger in. What can i do to it? Hello Lanre, Sorry for late replies. Have you been able to fix it? My name is Faruk. Number is 08035936511.my Samsung note 3 whenever I check what is zapping my battery, it shows gpds. Please any solution to this problem? You'll need to deactivate it to save your battery. Hello Adams, restart the phone. Also clear temporary cache files on your device. this should fix it. I want to know if there is anyway to set unlocked spectranet MIFI TO permanent 4g or 3g? My gionee p5 mini keeps restarting itself. This has been going on for day and to think that its a new phone baffles me.how do I fix it? I've tried flashing it with the stock rom but the one I downloaded is giving me chip error on flastool. Hello friend, You don't need to flash it. Which app did you downloaded before it started behaving that way? Uninstall any recent apps you downloaded, Go to settings>>Apps>>Clear individual app cache except google services and playstore. Reboot your device and check the performance. If it still persist, you'll need to check if all you apps are upto date, if not, update them. Your last resort is Factory reset. Whenever phones overheat, it will definetly hang and in the process, kills the battery. Factory reset it. But save your files and doc before you do that. Am using gtide e90 with 2 gig ram, but with official rom on it, i always have problem of memory space but any time i put custom rom it the problem of memory space is gone but any time my phone is off and i on it back, the internal memory will be telling me to format the internal memory. Their is no 4G service in the area with SIM u r using. I use mtn4glte.. On global it shows the 4glte.but on lte/cdma thr signal goes off. How do i check dat? Hello Prof, I use HTC one m8, the issue is that my camera is misbehaving. If I put on the camera, it will come up and within seconds, it shuts off automatically without even snapping. And at other times, I can use the selfie camera only, need help to correct the rear camera please. My infinix 510, most times will off on its own and when you on it, it will show android app updating and this may take more than 30 minutes. My umi iron mouth piece no longer work, took it to many engineer already, the funniest is the phone make sound recording perfectly…. Any solution??? You can try contact UMI them self to help you out via their facebook page or forum. Download it on Google store.. Link2sd card.. And for your ram try to install greenify. Which Roms did you flash? i have a Samsung galaxy prime duo, the screen is the problem, it operates without been touched. Prof plz any hint on how I can unlocked my blackberry Z10? Hello Prince, Clear your app cache. Go to settings>>apps>>delete the data cache. Do it for all the apps except Google Play store and Google services. Reboot your device and you are good to go. @Prince also remove unnecessary apps installed on your phone..
Hello Yomi, someone reset my phone (Gionee M5 Mini) settings/memory trying to connect me to a WiFi. Now, I can’t make calls, receive text massage, load credit nor check my account balance. My p tells me (Invalid USSD code) when I try to check my account balance or load a recharge card. Please I need your help as soon as possible cos I am frustrated already. Thanks for your anticipated assistance. Hello Prof, good day. Someone reset my phone (Gionee M5 Mini) settings/memory trying to connect me to a WiFi. Now, I can’t make calls, receive text massage, load credit nor check my account balance. My p tells me (Invalid USSD code) when I try to check my account balance or load a recharge card. Please I need your help as soon as possible cos I am frustrated already. Thanks for your anticipated assistance. Once in safe mode, try entering the MMI code you were using before to see if the problem persists. If you don’t have issue sending the message at this point, then most likely an app you recently installed is causing the conflict. You can start by uninstalling the most recent app and go from there.